Archaeologists have discovered the oldest prehistoric building ever found in the Stonehenge landscape – but fear a new road tunnel could severely damage the site. Dating from around 6,300 years ago – at least 1,300 years before Stonehenge – it was built immediately adjacent to a sacred Stone Age spring. 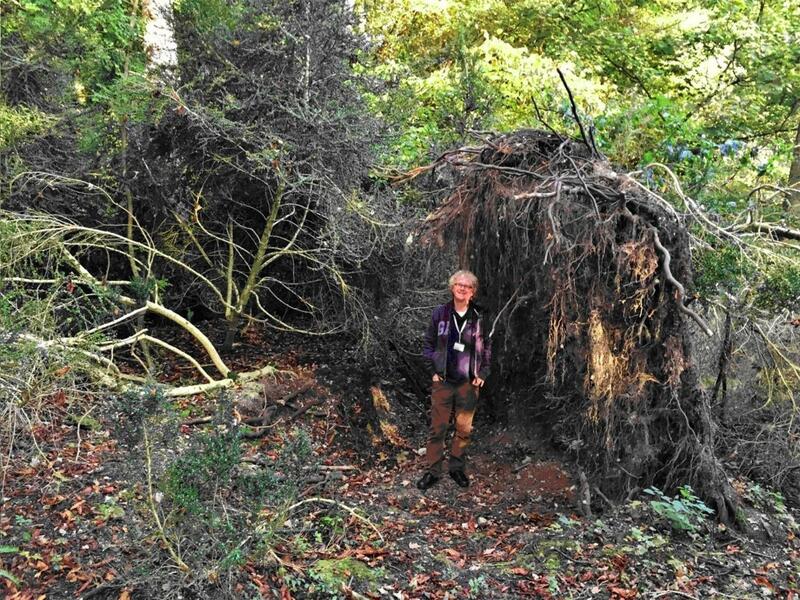 Academics have dubbed it an “eco” house because the base of a fallen tree was used as one of the walls. The building is important as it appears to have been constructed by indigenous Mesolithic hunter-gatherers at the time when the very first semi-agricultural European-originating Neolithic settlers were arriving in the area. The tools found in the building are Mesolithic (ie, pre-Neolithic) – but the period they date from is the dawn of the early Neolithic. Archaeological discoveries are revealing that, within just a few generations, the population at the site had adopted Neolithic tool-making traditions – or alternatively had been physically displaced by Neolithic settlers. 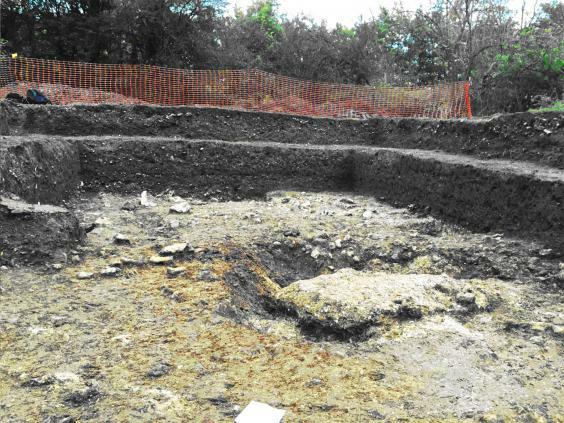 The potentially semi-permanent nature of the newly discovered house is suggested by the deep post-holes used to construct it and by a large cobbled area (covering at least 90 square metres – and including a pathway), immediately adjacent to it. The cobbled path led down to a spring which Mesolithic people used as a place for making ritual offerings. So far, archaeologists at the site, just over a mile east of Stonehenge, have found tens of thousands of objects placed by these Stone Age people in the spring – including more than 20,000 flint tools, a large sandstone animal skin smoother, a slate arrow head from Cornwall or Wales, pieces of burnt flint and more than 2,400 animal bones . Archaeologists are now worried that the Government’s plan to improve the Stonehenge landscape by putting the A303 in a cutting and tunnel, will change the local water level and thus destroy or severely damage the spring and any important and potentially unique water-logged archaeological remains. “I am very concerned that any reduction in the groundwater level at the spring site and elsewhere in the Avon valley might potentially be a threat to archaeologically important waterlogged organic artefacts and ancient environmental evidence,” said University of Buckingham archaeologist David Jacques, directing the excavation. The newly discovered Stone Age dwelling is believed to have measured around five by three metres and included a sunken area measuring five square metres where animal skins were scraped and cleaned and clothes were made. The residents also developed an innovative way of keeping warm in winter. They used hot stones, pre-heated in a hearth, as a form of central heating. A huge collection of standing stones – dubbed ‘Superhenge’ – has been discovered underground, just a few miles from the famous stone circle in Wiltshire. Using special radar equipment, archaeologists have mapped out a “unique” collection of up to 90 subterranean stones. It’s believed the vast, 800m-long site was decommissioned during a time of religious upheaval, and the stones subsequently buried. The Stonehenge Hidden Landscapes Project has been instrumental in revealing astonishing new details about this fascinating prehistoric period. But did you know there are already a whole host of mysterious historical sites you can explore all over the country? From spooky burial mounds to ancient artworks, famous landmarks to remote rarities, here 10 magical British monuments to visit – no digging required! 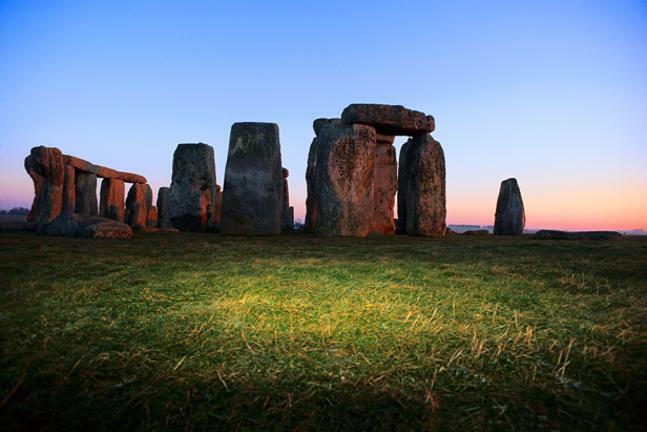 One of the most famous tourist attractions in Britain, this collection of stones dates back to around 3000BC and was estimated to have taken more than 30 million man-hours to erect (and how exactly these huge rocks were put into position has sparked countless theories). 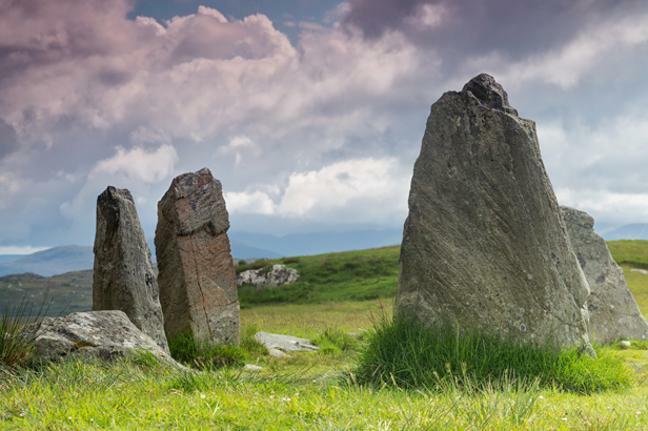 The unearthing of thousands of cremated bones at the site suggests it was originally a burial ground – but there’s also evidence that the stone circle was used for animal sacrifice, while others say it was a place of healing, or a ritual pilgrimage destination. The waterfall and hermitage at St Nectan’s Glen was once venerated by the Celts, but the picturesque landscape is connected to Arthurian legend as well. It’s believed the King and his knights visited the Glen for a blessing before they began their search for the Holy Grail. This cruciform collection of huge, Neolithic stones near the village of Callanish has been the subject of a variety of mysterious stories throughout the years. Traditionally, it was believed the stones were petrified giants who had refused to convert to Christianity. It’s also rumoured that on midsummer morning, an apparition known as the ‘Shining One’ walks between two rows of stones. Meaning ‘Fort of the Grange’, Ireland’s largest stone circle is positioned so that at summer solstice, the sun shines directly into the centre. But by night, locals apparently won’t enter – fearing the deathly entities that supposedly inhabit the circle after sunset. It may not have the Neolithic heritage of an ancient stone circle, but stunning Canterbury Cathedral has its own miraculous history. After Thomas Becket was murdered in the Cathedral in 1170, a series of miracles attributed to the canonised Archbishop were reported. The stories – including the curing of diseases and healing of grievous injuries – are depicted in the Cathedral’s stained glass windows. Part of the same UNESCO World Heritage complex as Stonehenge, lying 25 miles away from it, this stone circle is the largest in England. 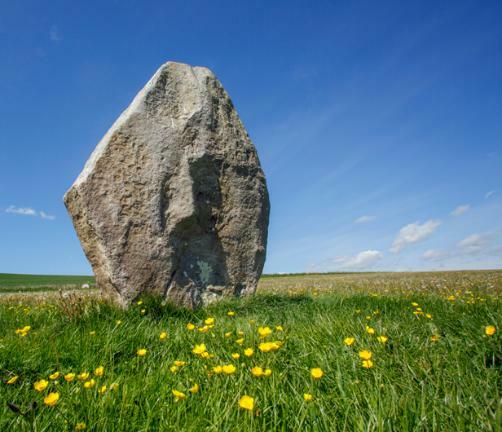 Like Stonehenge, the discovery of bones suggests the site was used for ritual burial purposes – but it’s also been argued that the Avebury stones relate to gender, because they are either long and thin or short and wide. Legend has it that a valuable treasure chest is buried beneath this hill that was once a Roman Fort, guarded by a raven. It’s said that the treasure was once uncovered by a local villager, but when the man was spooked by a huge raven overhead declaring “he has not been born yet”, he buried the chest again – and it remains undiscovered. 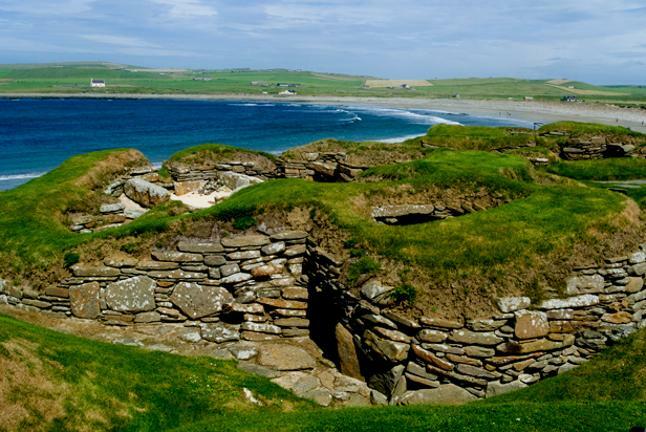 While many Neolithic stone structures appear to have been used for ceremonial purposes, the well-preserved settlement at Skara Brae in Scotland was actually inhabited by people and even had its own drainage system. Many artefacts have been found at the site, but one mystery remains: experts still haven’t been able to translate a type of ancient runes discovered there. Spread across three hilltops, it’s believed that Loughcrew Cairns is primarily a burial ground, scattered with megalithic tombstones. The site also features surfaces carved with ancient art – some of which are illuminated by the sunrise on certain days – but it’s unclear what the artworks mean. Shields, astronomical symbols and even games have all been suggested. 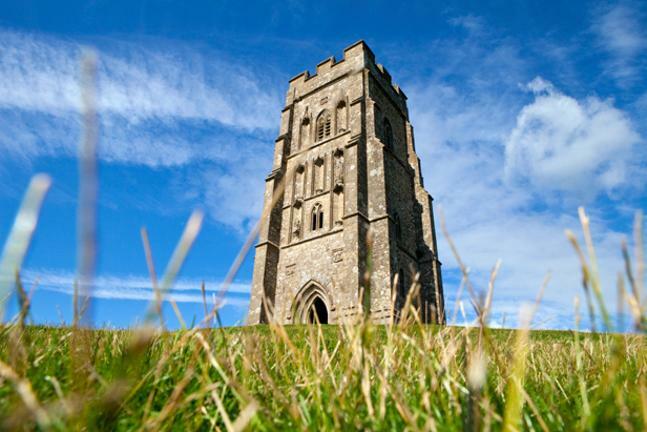 Another very famous ancient attraction, the hill topped with St Michael’s tower has been associated with a whole Round Table’s worth of Arthurian tales. It was believed that the hilltop was once Avalon, the island where King Arthur recovered after a bloody battle, and in 1191, monks at Glastonbury Abbey claimed they had found the graves of Arthur and Queen Guinevere, while in the 1920s it was suggested the Tor represented Aquarius in a giant, 5,000-year-old zodiac spread across the land.